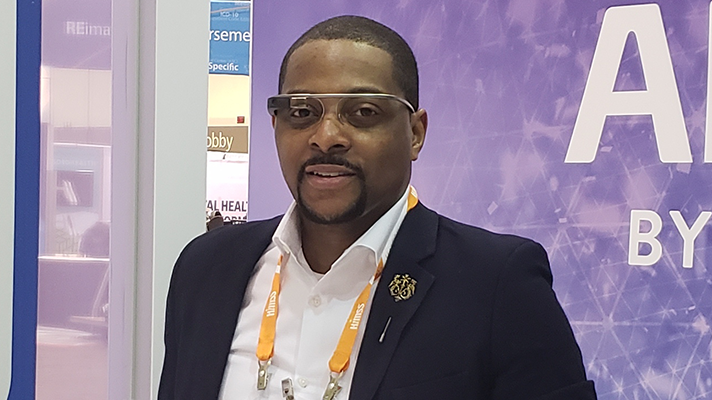 Contrary to what some have said, “Google Glass is not dead,” according to EHR consultant Carl Osborne, creator of the app seeCOLe (short for, see Clinical data On Lens). The seeCOLe app — worn with Google Glass or Vuzix Blade Smart Glasses — allows doctors to use voice commands to review and document patient information, hands-free. According to Osborne, “it integrates with FHIR APIs in real-time, with no middle man and no transcribing.” It works with any EHR, he added. According to Osborne, the app uses AI and helps diagnose by listening to the patient’s responses. It also allows doctors to search for documentation with a voice request. More than one physician, in different locations, can use the app to converse and do a telehealth consultation together. Osborne cited research showing that clinicians spend nearly half their time examining data, leaving less time to interact with patients. When physicians can explore EHRs hand-free, it frees them up to multi-task, Osborne added. The apps enhancements make it easier to use and collect data. Osborne demonstrated the app at HIMSS19 in Orlando in the Healthcare of the Future exhibit. In the latest trend to find relief for doctors, who balk at the burden of their EHRs, Meditech has proposed something similar, but without the augmented reality glasses and the computer-free capability. On Jan. 30, Meditech announced that it would be partnering with Nuance Communication, Inc. to add Nuance’s voice-activated Dragon Medical Virtual Assistant to its EHR.